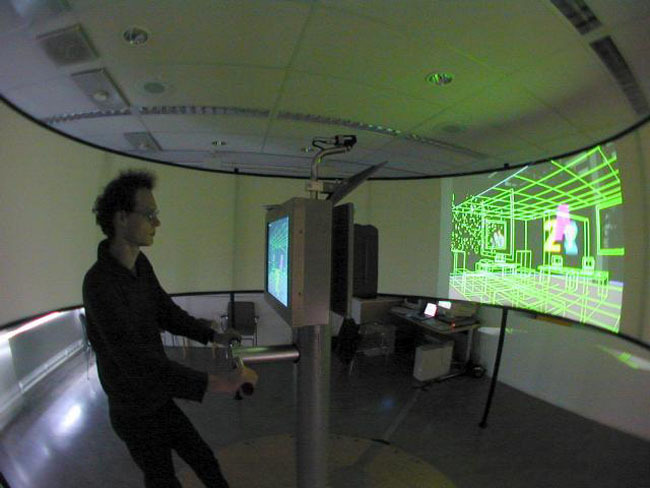 eScape is a research project on electronic landscapes, investigating patterns of exploration, interaction, and communication in electronic	landscapes. 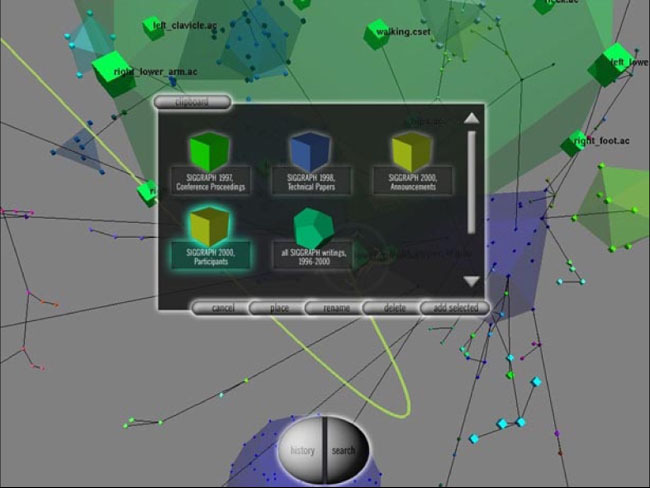 Designed as a multi-user environment, the eScape is a virtual world populated with cyclinders containing a heterogeneous set of different environments, ranging from art installations to library search engines. 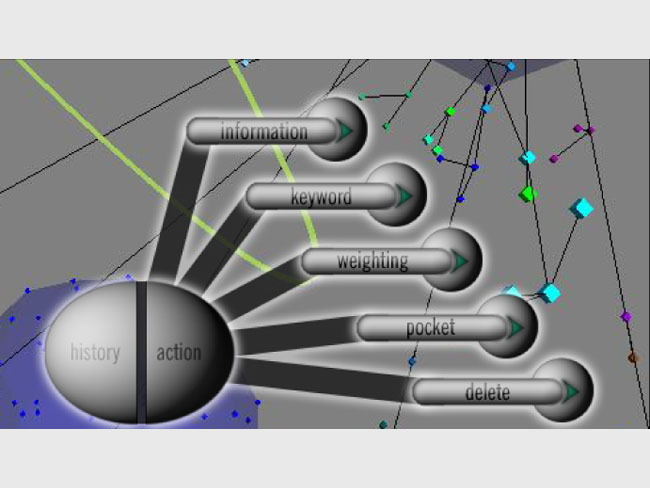 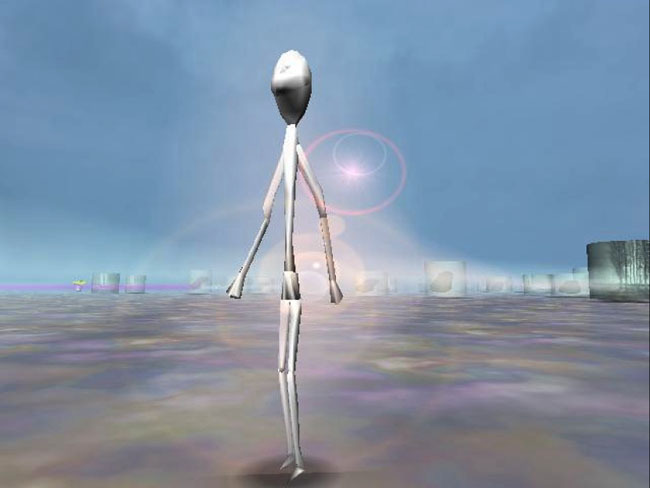 Users are represented as avatars that adopt a shape correpsonding to the specific world they are in: a stick-figure body for worlds with gravity and normal physics, a head-only avatar for worlds without gravity, such as the cloud browser of a library search engine. 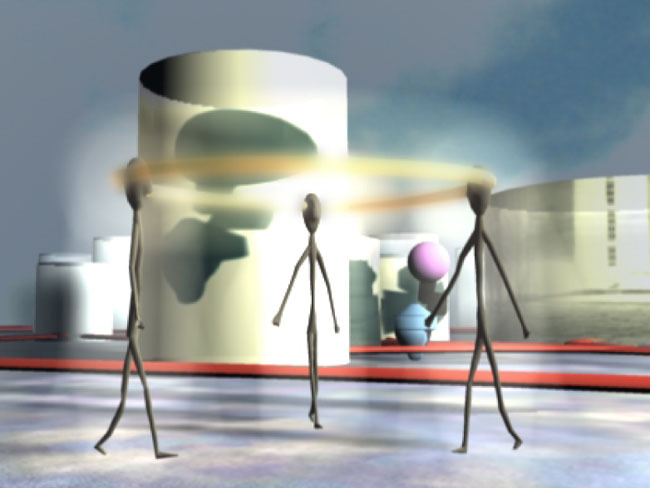 Based on ethnographic studies of social interaction patterns in real environments, eScape implements mechanics to foster collaborative exploration and communication. 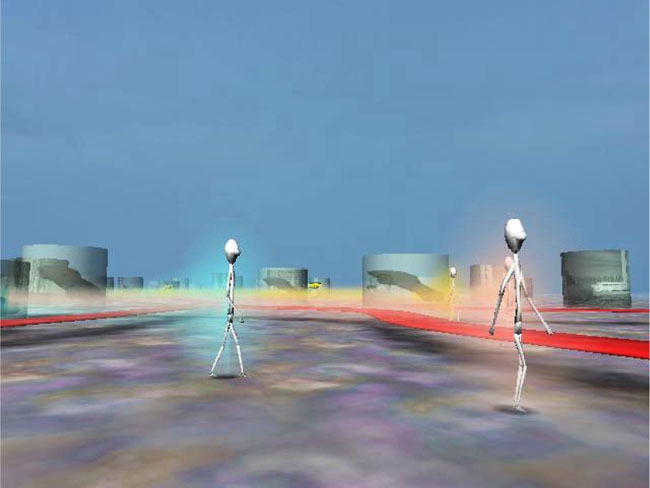 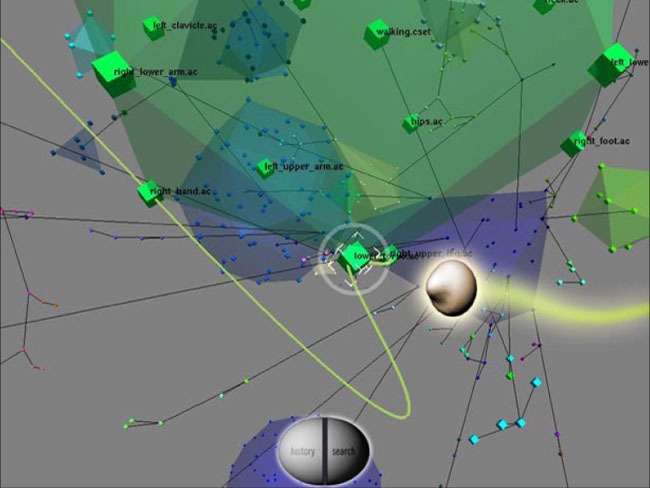 It provides "generator worlds" for the parametric creation of virtual objects and an emergent path-building system that responds to user navigation and supports orientation in the virtual world. 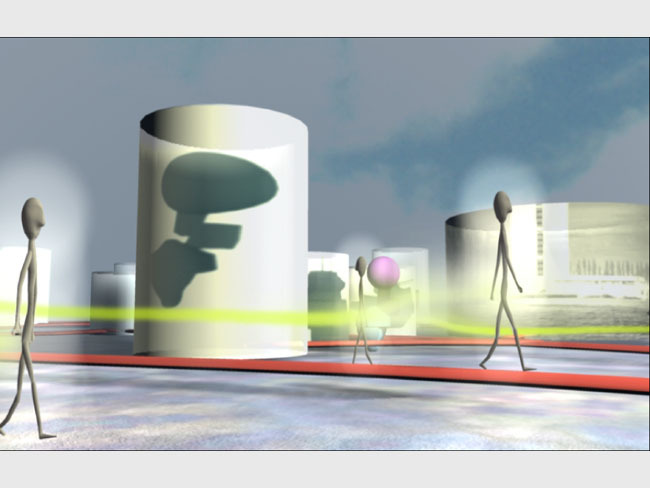 eScape is part of the ESPRIT European Long-Term Research Project 25377. 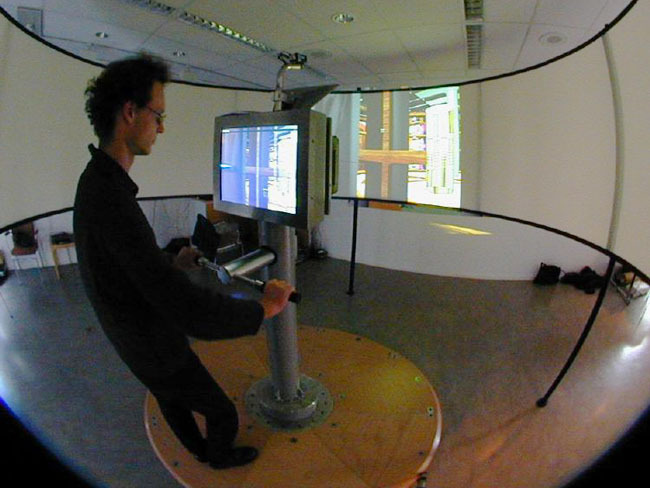 It was realized in collaboration between the University of Manchester, the University of Lancaster, the Swedish Institute of Computer Science (SICS), and the Center for Art and Media (ZKM).